Né dans la province du Liaoning en 1972. Diplômé du département Photographie de l’Académie des Beaux-Arts de Lu Xun en 1995. Ils ont les yeux clos, les bouches semi-ouvertes, ils sommeillent quasi-hypnotisés entre l’extase et l’épuisement ; les paysages eux sont abandonnés, imaginés ou encore idéalisés. Les photographies de la série « Some Days » de Wang Ningde plongent dans la rêverie et l’amertume, à mi chemin entre regret et réminiscence de l’instant T.
Wang Ningde est né dans les années 70 alors que la Chine commençait son « ouverture » sur le monde extérieur. Il capture l’image d’une Chine certes contemporaine mais toujours affectée par le lourd souvenir de la Révolution Culturelle. Véritable invitation au voyage, « Some Days » entraine notre imaginaire dans une traversée du passé dont les destinations finales pourraient être des contrées nommées Mémoire, Calme et Intimité. Devant ces visages aux yeux fermés, ces paysages inconnus, le spectateur, lui, ouvre les yeux sur les souvenirs, les fantômes de l’être aimé, les images oubliées, les émotions cachées… un temps retrouvé… Le passé n’est pas recréé, loin de cette démarche, c’est le processus de remémoration qui est questionné, suggéré et imaginé. Telle la madeleine de Proust, les photographies de Wang Ningde rappellent que le souvenir ne saurait être un acteur passif de la vie mais plutôt un moteur conscient dans le déroulement de nos vies. « Some days », quelques jours, un jour, un visage, un enfant, une fleur, une rivière, un train, un mariage, une danse, une ballade… suffisent à revoir, à rêver l’instant. « La vie est un songe » disait Calderon. Cette maxime s’applique à merveille à l’œuvre de Wang qui immortalise dans ses photos ce que Zoé Valdes appelle dans un roman consacré à la Chine « l’éternité de l’instant ». Né en 1972 dans la province du Liaoning , Wang Ningde est diplômé, en 1995, du département de photographie de l’Académie d’Art Lu Xun. Autrefois photojournaliste, il commence sa carrière d’artiste en 1999 et achève sa première série intitulée « Some Days » en 2005. Son travail connaît tout de suite un immense succès. 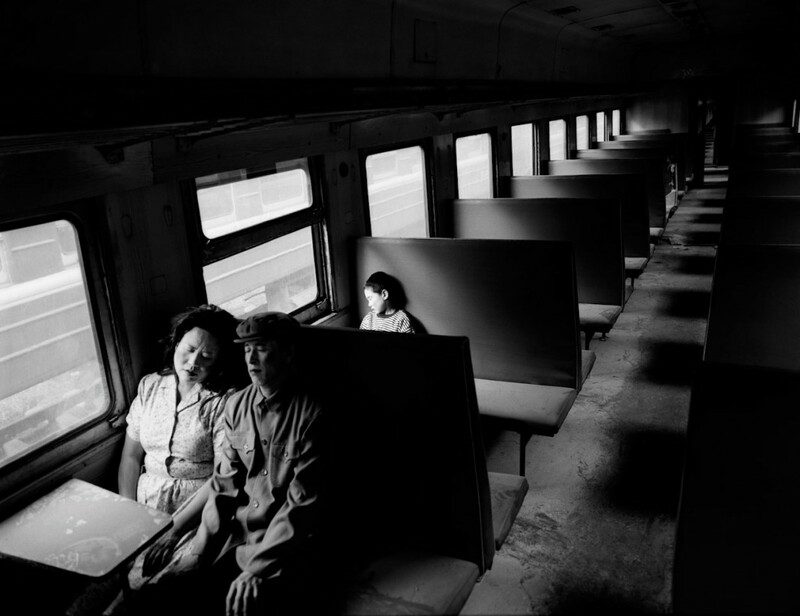 En 2007, Wang Ningde tombe gravement malade. C’est au cours d’une longue convalescence que va naitre le désir de compléter sa première série. Il se rétablit en 2009 et achève une nouvelle série d’images, dont le titre reste inchangé. Exposé à travers le monde, il fait partie des plus grandes collections publiques et privées. In Chinese, there is an expression: “The whole world is drunk and I alone am sober”. This phrase conveys something of the poignancy and conflict of the observer who stands outside the group, looking in: one who may benefit from the clarity of perspective but also feels the sting of estrangement. Wang Ningde is an artist who consciously embraces this bitter-sweetness of detachment in his great photographic series, “Some Days”. These works explore themes related to memory, history and the forces that combine to create our individual sense of reality. The dreamlike quality that pervades Wang Ningde’s photographs makes the camera’s subjects seem like apparitions that have arisen from the inner depths of the artist’s imagination, or perhaps from our own. The figures in “Some Days” range from young schoolchildren to Communist soldiers, captured in staged surreal scenes that are by turns strangely comical, morbid and unsettling. These ghosts of times past are alike in one aspect: they have their eyes closed and heads inclined to one side, or else their backs are turned to the viewer. Lost in their own thoughts, they seem similarly lost to us. This is the most often misinterpreted aspect of his work, which can be understood as a refusal to communicate with the audience. Yet, as Wang Ningde argues, those instances in which our eyes are closed are often when we are most profoundly and artlessly ourselves: when dreaming, in thought or in moments of extreme emotion. In these photographs, by removing the subjects’ consciousness of the presence of a camera audience, Wang Ningde allows the viewer to share a moment of much more intense intimacy with the subjects as, he says, they “open up the projector of memory and screen upon their inner heart the silent movie of their past”. Each of the “Some Days” photographs are cropped in a way that suggest they are but a part or detail of a bigger picture, a broader story. The theme in each tableaux has a connection with the familiar yearnings and concerns of our lives: wedding dresses and family portraits speak of the longings and ambitions of adulthood, a table in a gambling house hints at the unpredictability of the future, a carriage in a train suggests the difficulty of knowing in which direction we are headed. 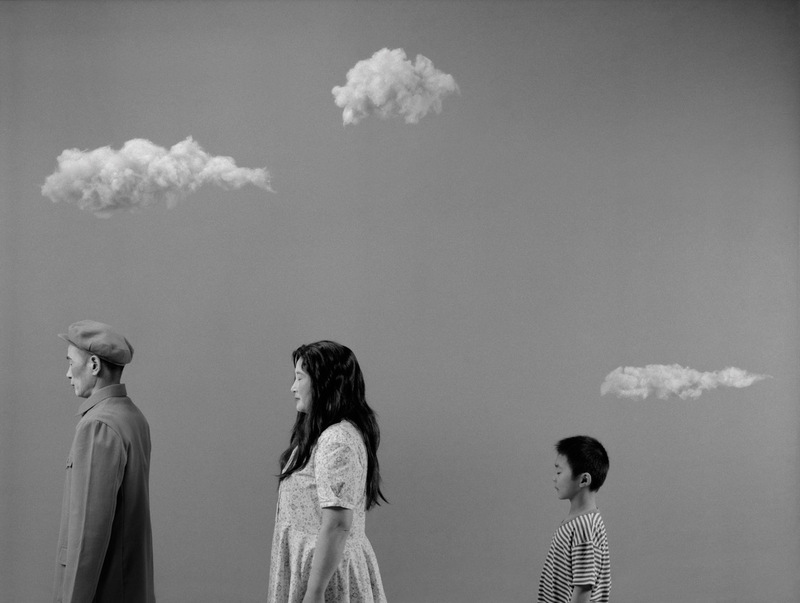 Wang Ningde is not trying to re-create the past by provoking our memories of it. Instead, he is trying to examine the process of remembering and how it interplays with how we conceive of our present selves. If someone shows you a photograph of yourself that was taken ten years ago (and you have never seen) while gazing at something you know is familiar. You will still experience a sense of strangeness, of unfamiliarity, because you and this photograph have traveled along different paths. The “reality” of the photograph is different from your own memories of the same “reality”. Memory thus changes the past: what was beautiful becomes more beautiful, what was ugly becomes uglier. This function of memory is particularly relevant to Wang Ningde’s generation. 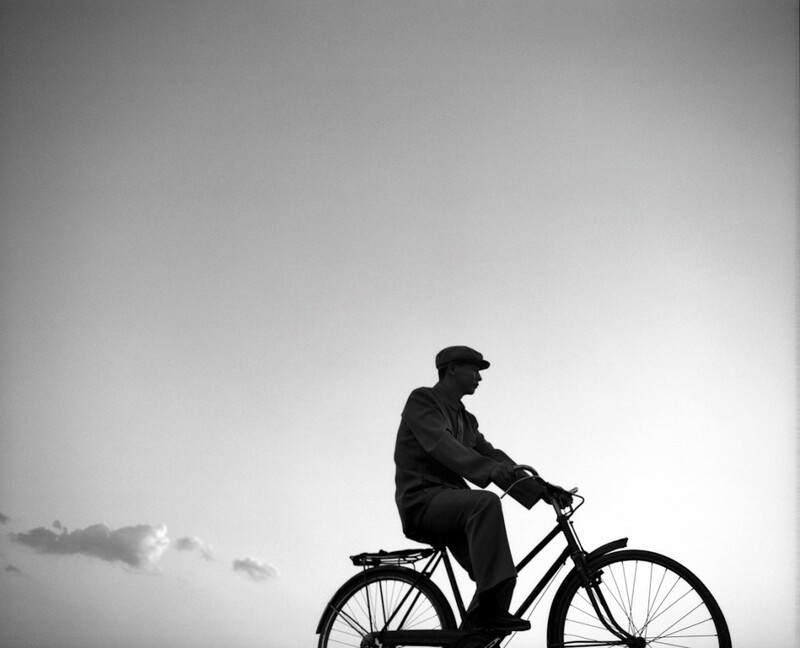 For those born in the 1970s in Mainland China, memory carries a specific burden. To them, the past is shaded by a perception of great upheaval and change as China emerged from the Cultural Revolution into the modern world. First-time experiences like riding in an elevator or tasting Coca-Cola are burnt into the consciousnesses of this age group. Memory is not something that exists peacefully in the back of the mind, but is an actual and wily protagonist in the play of daily life. How to navigate both memory and the past, so that one can successfully move forward into the future, is a question of immediate and profound urgency. 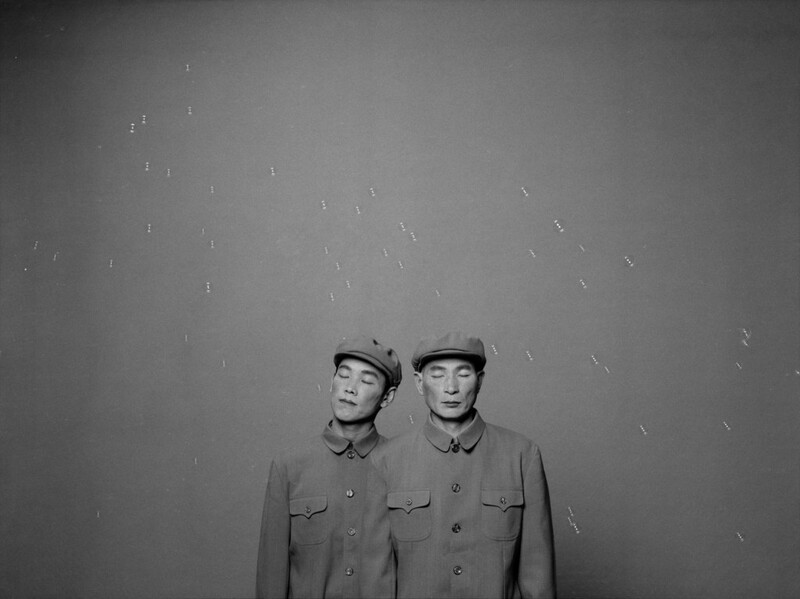 Wang Ningde commenced “Some Days” in 1999, and it is the only work the artist has produced since then. The series now consists of thirty-five photographs. 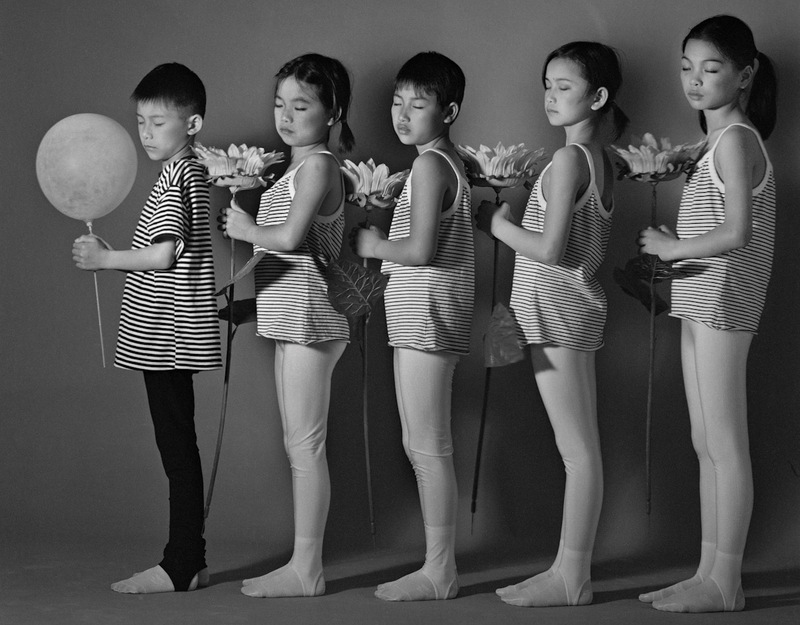 When I asked Wang Ningde if this meant each tableaux had been deliberately and precisely arraged , he answered by recounting for me the first time he saw a picture in a book of Marcel Duchamp’s famous wor, Fountain. Lacking any textual information regarding the context of the work , he utterly misunderstook the French artist’s intention . Yet it was still a moment of inspiration for the young artist. 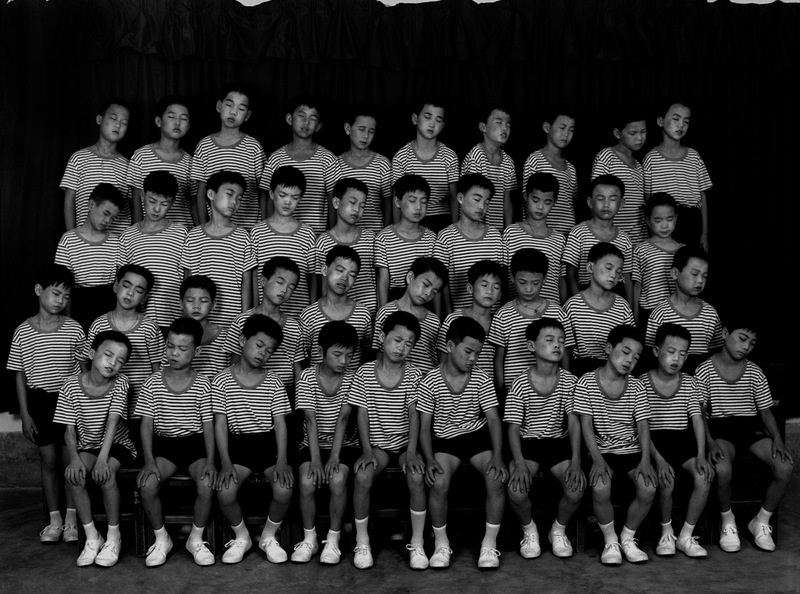 Wang Ningde mentions this as an illustration of the power of art – to awaken people into a contemplation of themselves and the world in which they find themselves. He says that every time he re-visit each of his photographs he finds different meanings within th eimages, as if the images have assumed a life of their own. He does not wish to control his audience by giving them instructions as to the meaning of each photograph – hat would be missing the point. His early “misunderstanding” of Duchamps’s work was valuable in that it made him think for himself, and in doing to achieve something that made him move forward as a human being. Diversity, and individuality, is an attitude of struggle. Wang Ninde is critical of art that is “all trees and no earth”. For him, art must have a theoretical foundation. Art is valuable not for the few hous taken to execute the work, but the hours of thought necessary to incubate the ideas behind it. Good art, according to Wang Ningde, is about casting a ray of illumination. He hopes his series, “Some Days”, will in some way bring about a moment of clarity for the audience, not by providing easy, ready-made answers, but by aiding the individual in the processes of thought and imagination, remembrance and understanding. It is only through comprehension of ourselves and our own histories that Wang Ningde believes individual diversity can be guaranteed.